wriggling free of our papier mâché wings. There is logic in people pursuing monogamous relationships. We interpret love based on how it makes us feel about ourselves. If someone makes us feel good, why wouldn’t we want them by our side for the rest of our lives? Our long-term interests though aren’t invested in how we make the other person feel. We may be capable of incredible amounts of love but we keep most of it for ourselves, especially over a period of time. Even if we see it slipping away in the other person, we still hold on to whatever remains inside. Some people just can’t handle solitude. For others – it is a matter of continuing their lineages. Many are just meekly in pursuit of contentment and successes as instructed by elders and peers. We are self-preservationists by instinct, and easily mistaken for being selfish. I am not cynical about monogamous love. I have seen many successful marriages and other long-term intimate relationships. A stirring sort of love, quaking even. Just not one that lends itself to much curiosity given how much is known about it. Debated upon, mulled over and fawned about. Erupting into prose, swimming through poetry and beautifully cursed as paintings. Comparatively, birds in monogamous relationships are fascinating case studies. How little we know about what goes on in their sweet little heads makes for more whimsical possibilities. 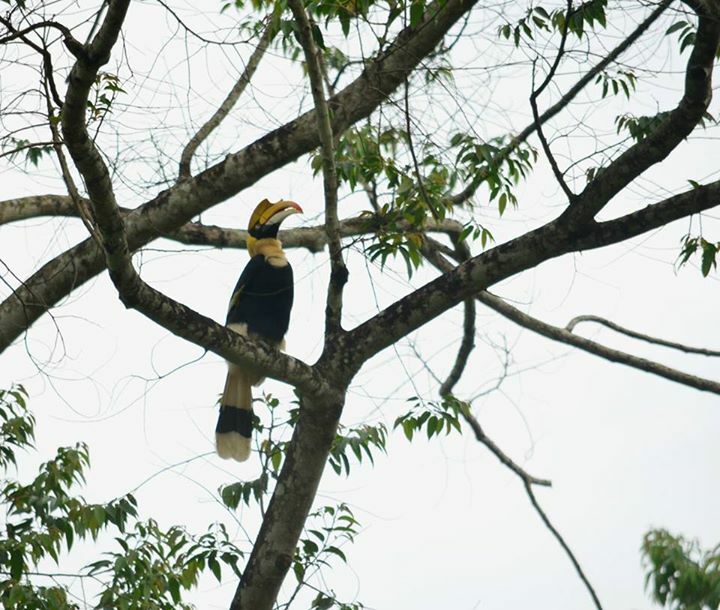 From the birds I have spotted, the Great Indian Hornbill stands out in the exclusive love it shows and seemingly has for the other. They are known to live in small groups of monogamous pairs. I was lucky enough to spot a couple in Valparai on two special occasions. One was when they were wooing each other before breeding season began. The other, a few months later, saw the male diligently feed his mate as she was incubating their eggs. I felt an incredible love in them. Granted the way he fed her, one berry at a time, was quite the visual. But it was just a feeling I had, without truly understanding what was on display. I suppose it was the lack of drama that made them look like a truly happy couple. Of course I was there just for a few hours. 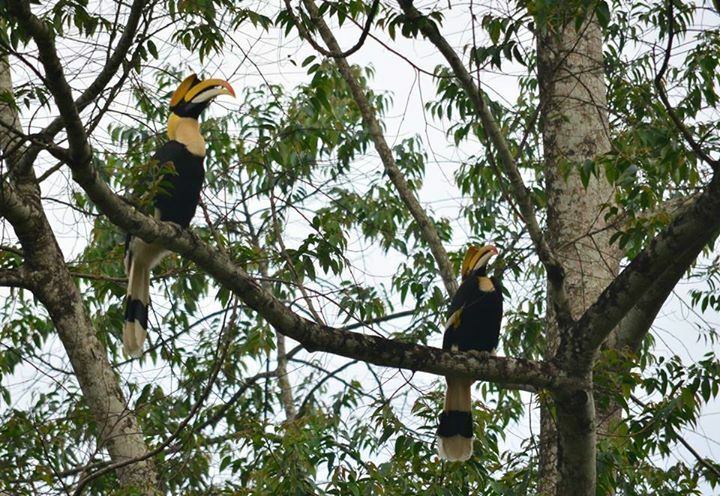 Also, it might be that Hornbills or any other birds feel about each other like many couples in our species do. We can’t really be sure. We barely understand our own. All we can do is make assumptions based on studying their behaviour. I choose to believe that birds are capable of more love. It’s why they make the universe feel more like home to me. It’s why they have wings. These photographs were shot by a friend and photographer – Anoop Valluthadam during the first trip, which turned out to be an emotional roller-coaster. I went solo the second time around to stalk and photograph them. They can be found in the below post. Thanks for a rare opportunity of seeing beautiful pictures along with thoughtful words. I absolutely adore this poem. Too much. Lovely writeup and pictures. Hornnbills are my favorite birds.. there’s something so majestic and intelligent about them. Thank you lavanya. Isn’t there just so much! I once heard them wail out of thirst in May when rains were scarce. And when told that they couldn’t drink unless it rained and the water dripped from the rocks, just blew my mind. Do you ever run into a pole or a tree while looking up for birds? I have ran into poles in the city while listening to music, but thankfully not while birding. I have slipped and fell from excitement many times though! I just spent ten days in Valparai, fifty different species of birds… literally all the ‘star’ species EXCEPT for the Great Hornbill. Ah well. All that guarantees is a second visit, and I’m definitely not complaining about that. 😛 Lovely photographs and encounter. Oh noes, next time let me know before you go to valparai. There’s a clutter of trees at a particular estate on the athirapalli road where you are sure to find. I ll send the map coordinates. Gosh you must see them, your words will runneth over. Haha, I went to all the places where everyone assured me you were ‘sure to find’ them… was only graced with their call once. Is this near Varatuparai? If so, I was there almost every day. Plenty of Nilgiri langurs but not one hornbill. Yes near varutparrai estate but not within the hornbill estate. The male takes to the skies between 5 am and 6 am and picks a spot. The trick is to find his fruiting tree of the day. He changes based on bloom and perceived threats. I am sure you ll find them next time. 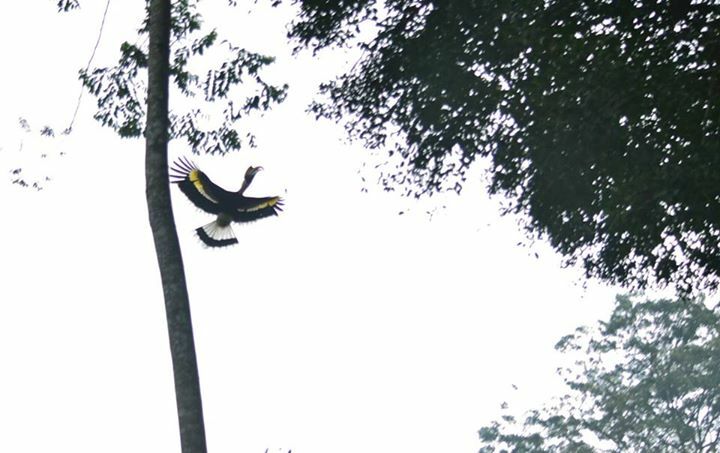 Also I heard a Great Hornbill at Masinagudi. There’s one family at the singara estate. Couldn’t spot since it was a windy day. Do check that out. Also megamalai is home to them too.